Wash and soak the rice , fenugreek seeds and Urad dal overnight. Grind the soaked ingredients along with enough water and cooked rice. Keep aside the batter in a warm place for fermentation atleast 8-10 hours. Add salt and stir the batter well. Heat a non-stick tawa, Pour a big spoon of batter in the centre, spread batter with the spoon to a thin circle. Pour a tsp. of ghee around the edges of the dosa and cook till it turns to golden color. Flip the dosa and cook other side also. 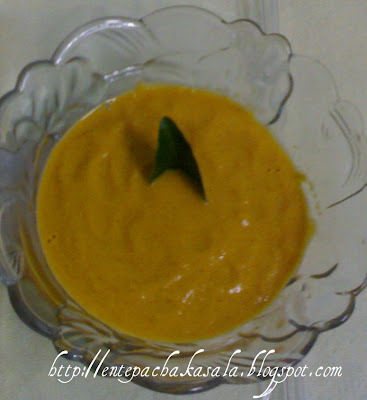 Serve hot with chutney/sambar. Wow! This is too tempting. very tempting dosa and chutney....i am lovg it. 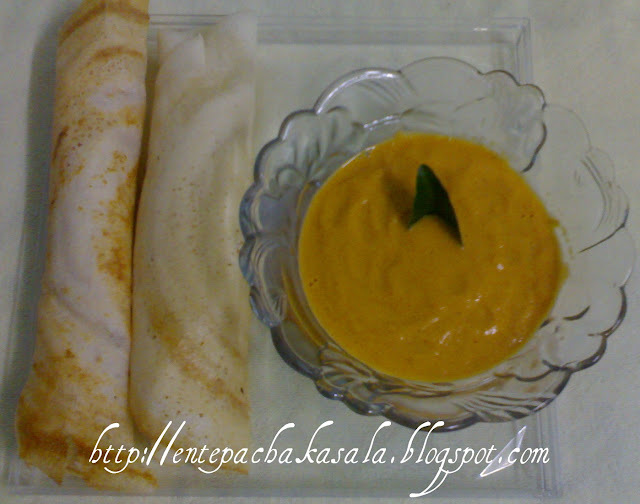 Very inviting dosa and chutney, am hungry now..
My husband absolutely loves this! Dosa looks so appealing. 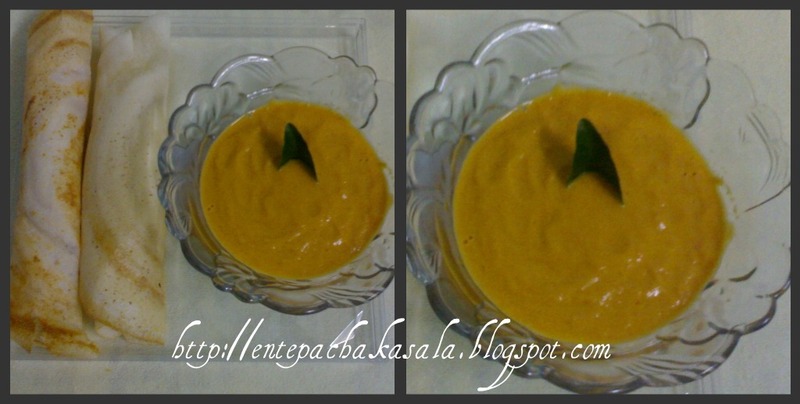 Oh I love ghee roast..Am drooling over that first pic. Yum Yum! !